Our naturopaths help identify the underlying source of health concerns and address them before they cause disease. Patients are often surprised at the difference naturopathy can make to how good they feel each day. Small changes to your lifestyle, diet and the support of nutritional supplements and herbal medicines can assist in providing balance. Access the support you need Australia wide via Skype consultations with our naturopaths. You can choose the option of having a combined consultation with any of our GPs and naturopaths. Our integrative doctors and naturopaths work closely to share their knowledge of biochemistry, nutrition and herbalism, providing a greater platform for understanding the causes of chronic health issues. Open Monday to Fridays between 9am - 5pm. One of our fully qualified naturopaths will be on hand to assist you in our Herbal Dispensary. No appointment necessary. Reine is one of our senior functional medicine practitioners. She has worked integratively with doctors since she graduated as a naturopath in 1998. Reine possesses an exceptional capacity to see and understand the intricacies of the human system, uncovering complex health conditions and co-ordinating treatment for chronic health issues. She is a health detective that works with all practitioners to create the best combination of care, ensuring results. 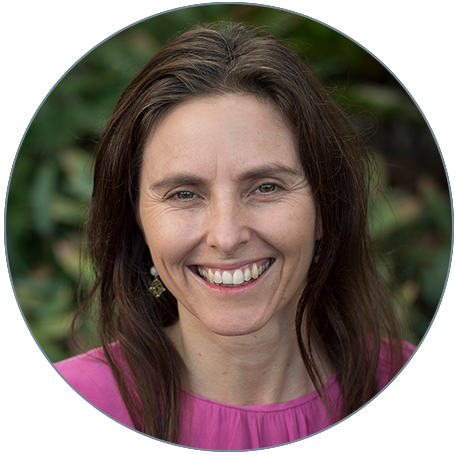 Reine is one of Australia’s leading integrative naturopaths, founder of The Health Lodge and has lectured for ACNEM, AIMA, MINDD and ANS on the powerful method of integrative medicine. Reine knows that if we work together to solve the chronic health conditions that remain a mystery to modern day medicine, we will develop a new paradigm of health solutions. She has special interests in chronic illness and complex conditions, tick borne disease, mould related illnesses, chronic fatigue syndrome, fibromyalgia and heavy metal toxicity. Emma is a women’s health naturopath with a special interest in natural endocrinology. Her focus is on supporting women to understand how to manage their health and hormones with diet and nutrition, medicinal herbs and supplements, movement and exercise, relaxation and other lifestyle measures. Emma graduated from Southern Cross University with a Bachelor of Naturopathy degree. She has contributed to the book “The Postnatal Depletion Cure” written by her colleague Dr Oscar Serrallach, whom she conducts combined consultations with to support mothers. Kristin works deeply to investigate the underlying causes of your health issue, offering lasting solutions. She balances the immediate needs of her patients and strives to ensure they are supported through each step of their healing journey, considering all aspects of their emotional, physical and energetic experiences. Kristin uses traditional naturopathic knowledge and the latest scientific evidence-based medicine to provide a clear path through complex health conditions. Insightful and thorough treatments can be achieved as she works with GPs, specialists and allied health care practitioners to provide holistic care. With extensive experience in treating a wide range of conditions, Kristin’s special interests are in prenatal, pregnancy and postnatal care, paediatrics, children with behavioural disorders, teen health, mental health, gastrointestinal disorders, hormonal issues, chronic fatigue, biotoxin illness and supporting the elderly. She is also a qualified flower essence practitioner and offers flower essence therapy utilising locally made Australian Bush Essences, Australian Living Essences, bach flowers and sacred flowers. Kristin is one of Doctor Oscar Serrallach’s clinical assistants, specialising in postnatal care and biotoxin illness and has been working with Dr Oscar for over 12 months. In need of a massage? Kristin is also a skilled and experienced massage therapist offering relaxation, deep tissue, pregnancy and lymphatic massage. She weaves naturopathic care into all treatments, utilising flower essences, herbal infused oils and essential oils for a luscious healing experience. Bec is a gut naturopath with a special interest in treating gastro-intestinal conditions and supporting detoxification safely and holistically. With the traditional naturopathic principle that 'all diseases arise from the gut', Bec focuses on investigating the underlying cause to support gastrointestinal function through diet, nutritional and herbal medicine and lifestyle measures. Bec is also a Colon hydrotherapist at The Health Lodge where she incorporates colonics, when appropriate, into her naturopathic treatment plan as she believes they have the efficacy to remove toxins from the intestinal tract - a crucial step towards achieving sustainable levels of good health. For more information regarding colonic benefits, visit the Byron Colonics page in Services. With the desire to share her rich and in-depth knowledge as a certified practitioner, Bec is regularly published in several health magazines including Living Now and Kadac Health. Having an established clinic in Melbourne for several years, Bec has moved to Byron to pursue her career at the Health Lodge. Bec holds a Bachelor of Health Science (Naturopathy) after graduating from the Southern School of Natural Therpaies and is a member of the National Herbalist Association of Australia (NHAA).